Materials: Cotton fabric, High quality linen lining fabric, lining fabric of linen with complementary pattern of brown coloured hearts, handles to match brown hearts lining fabric. 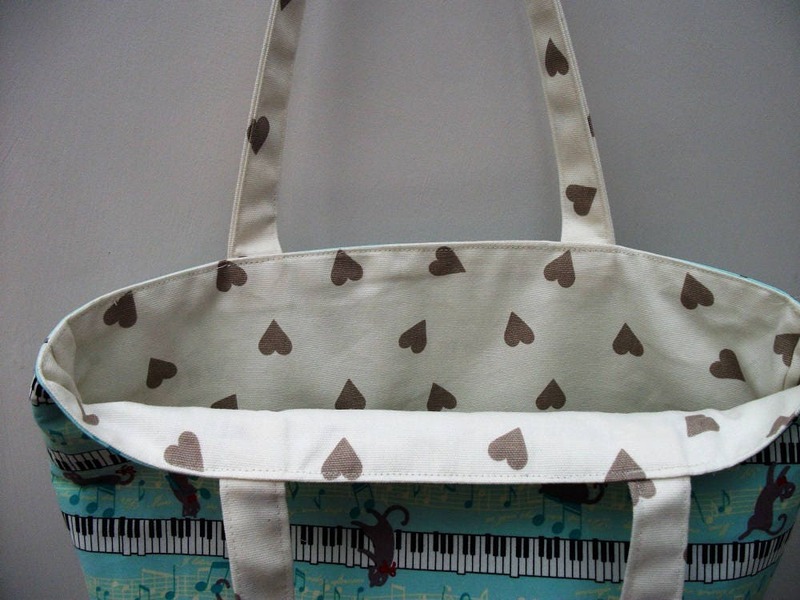 This is a very eye-catching, practical large shoulder bag made from colourful cotton fabric with high quality linen lining with a pretty pattern of fawn/brown coloured hearts. Along with the lining there is a heavyweight interfacing to give the bag substance and body. The handles are quadruple thickness of the hearts themed linen fabric and triple stitched to the body of the bag for strength. 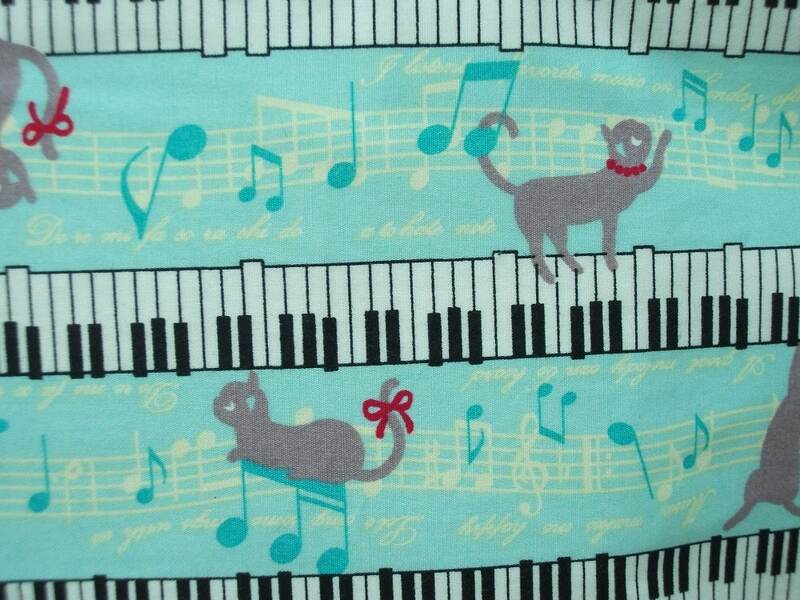 This is great as a gift for any musician, music lover or music teacher or student- especially those who love cats ! 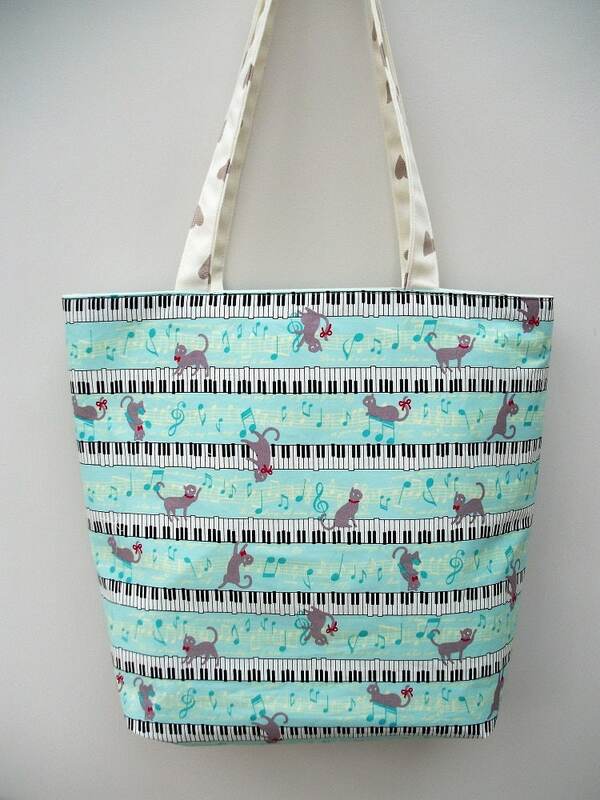 The bag is suitable for carrying music, books, small items of shopping or a myriad of other uses. 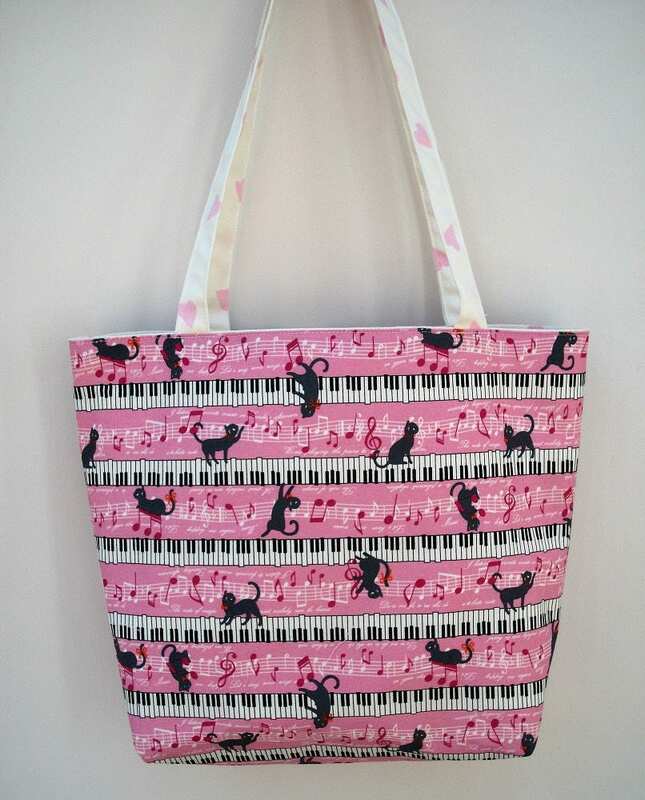 Save money on Carrier bags- carry your lovely lined "Rossini" bag! ALSO AVAILABLE IN PINK : see separate listing. 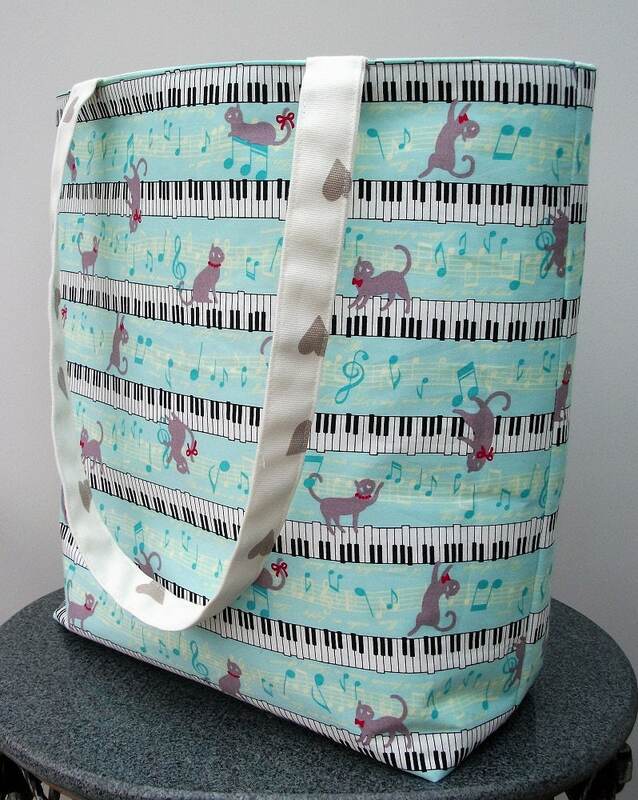 All of my music themed bags are named after composers and Rossini's witty and brilliant "Cat Duet" for 2 sopranos was the inspiration for this feline themed bag ! The straps can also be made in a shorter length of 14inches /35 cms for anyone who prefers short handles for carrying - please indicate preference.